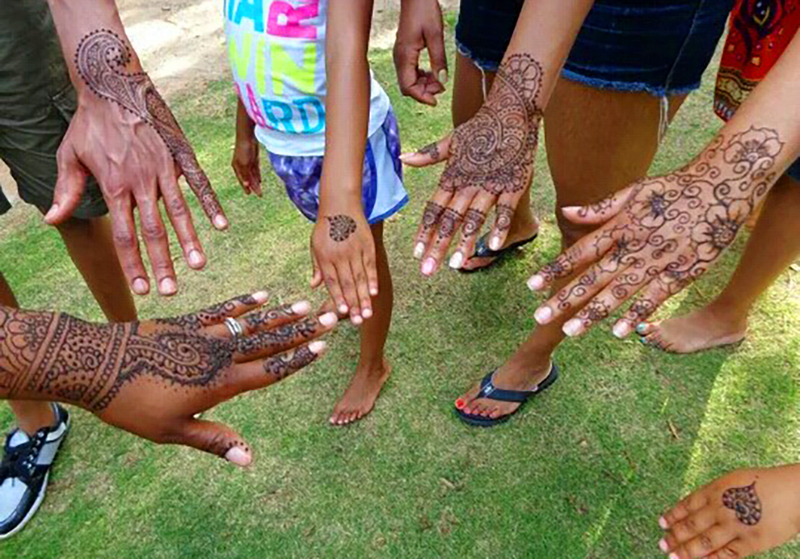 Add some fun to your gathering with your very own on-site henna artist. Henna designs lend an exotic and memorable flavor to your event. We will come to you. Fees are charged at an hourly rate. Contact us to for a quote and availability to book your upcoming event!